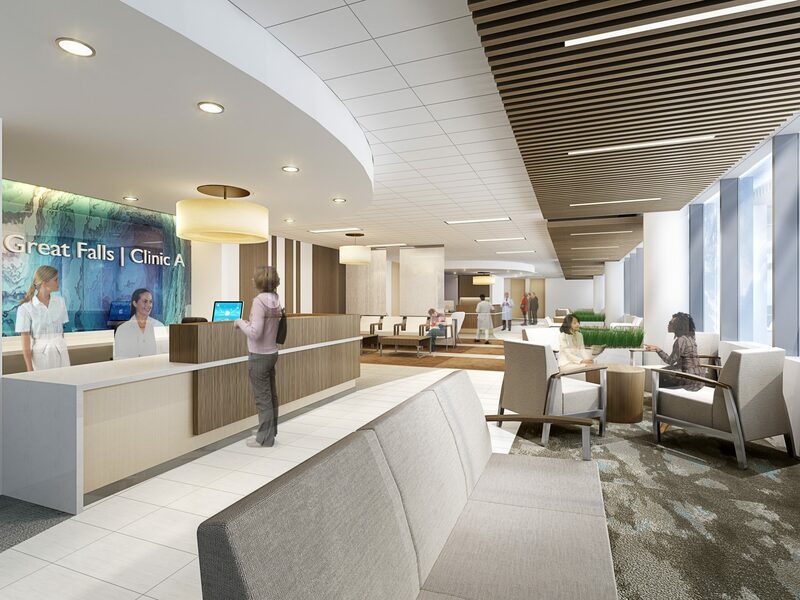 The first phase of development on the 117 acre Inova Center for Personalized Health campus is the new Inova Dwight and Martha Schar Cancer Institute. 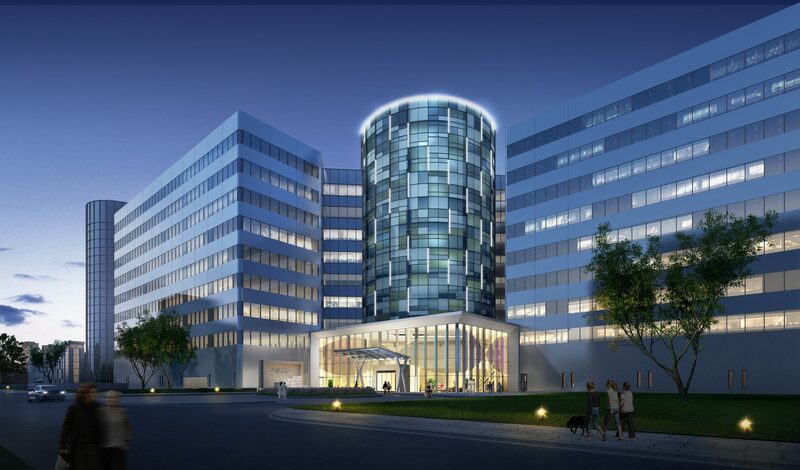 The project involves creative renovation of one of the existing former office towers on campus with an adjacent addition. The infusion center features 48 chairs and the radiation oncology department houses five vaults. A breast imaging center and surgical breast clinic feature specialized exam, diagnostic and treatment spaces. The project also includes a dedicated imaging department.